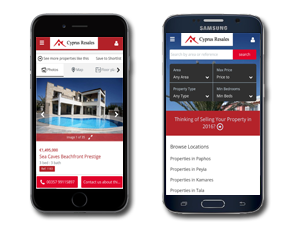 Want to know more about Konia? 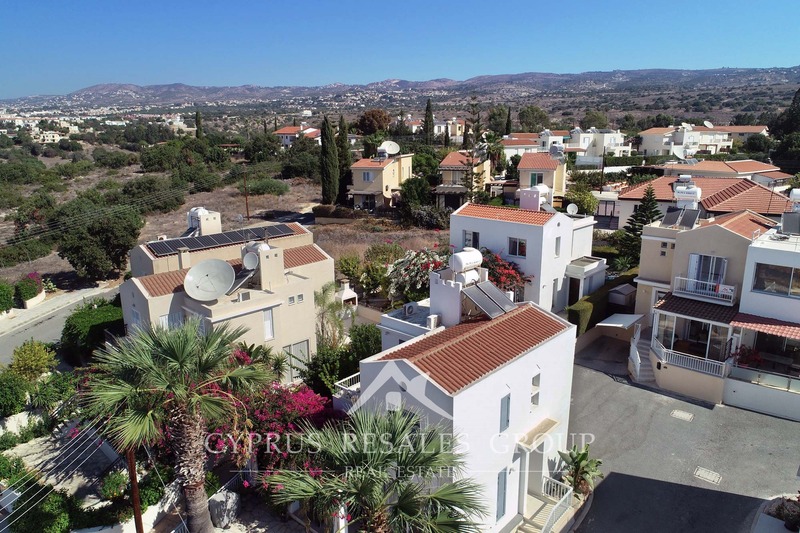 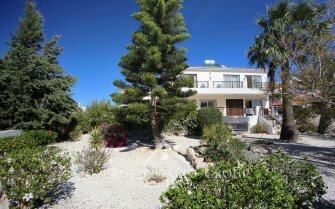 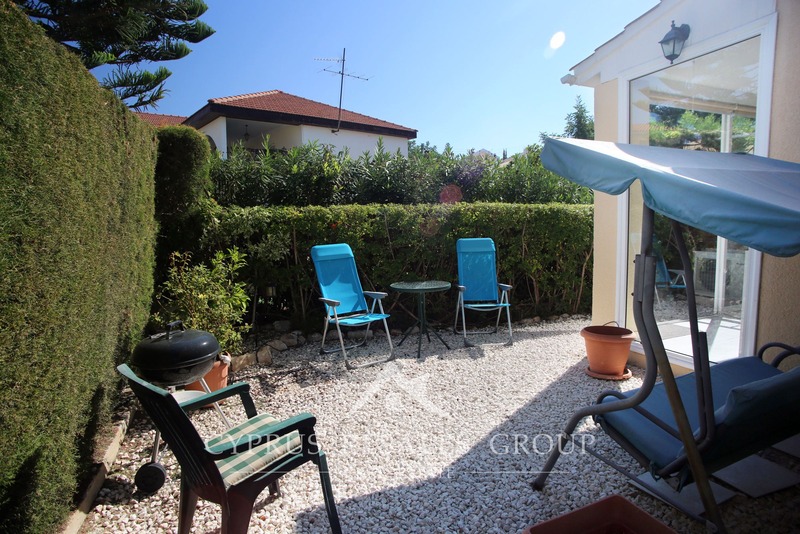 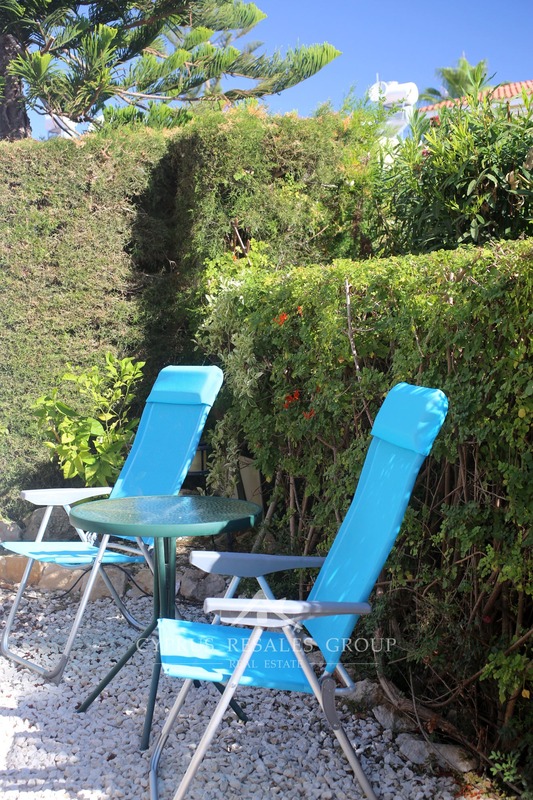 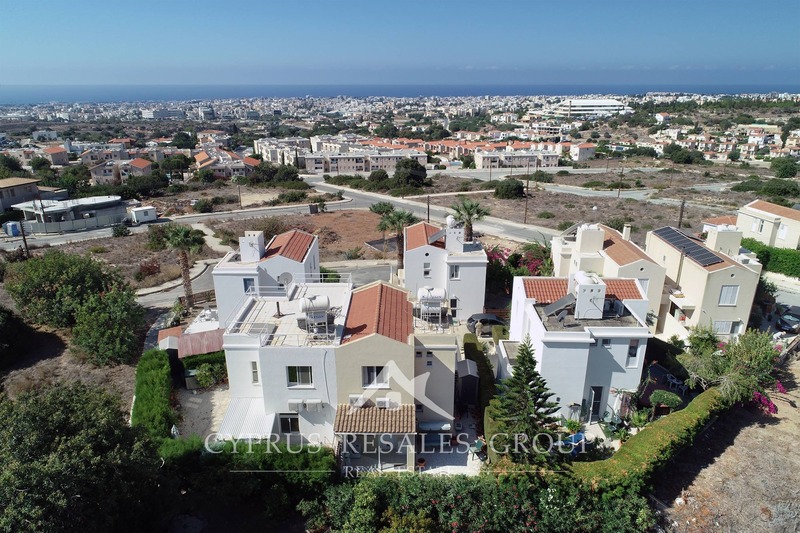 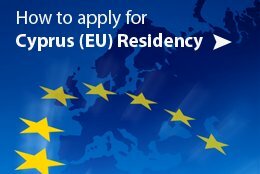 Konia Village benefits one of the best locations among Paphos satellite villages. 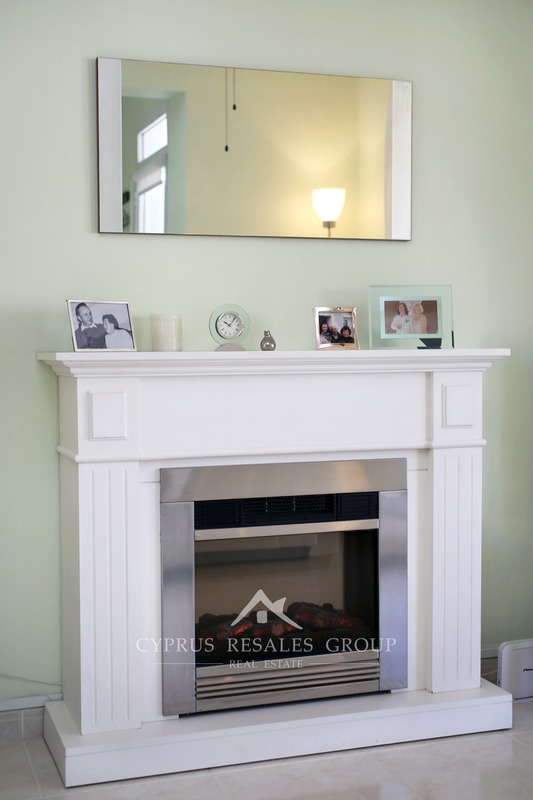 Come off the highway and in a mere 5 minutes you will find yourself in your new tranquil home. 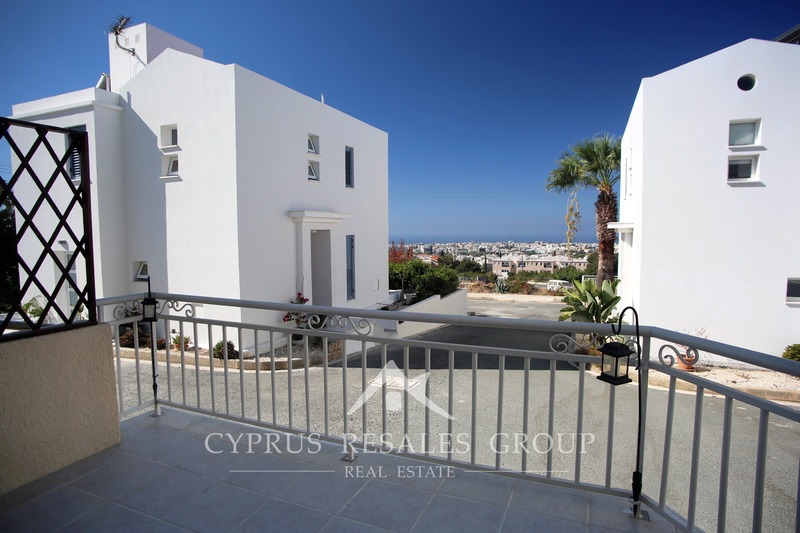 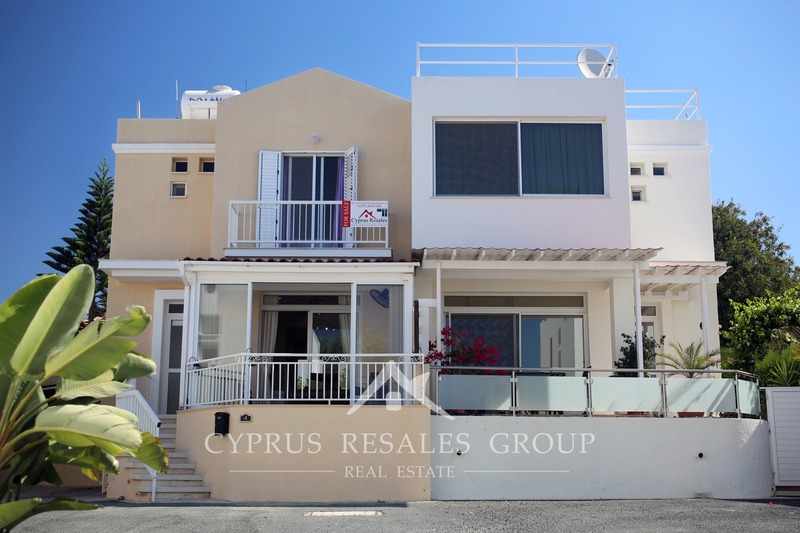 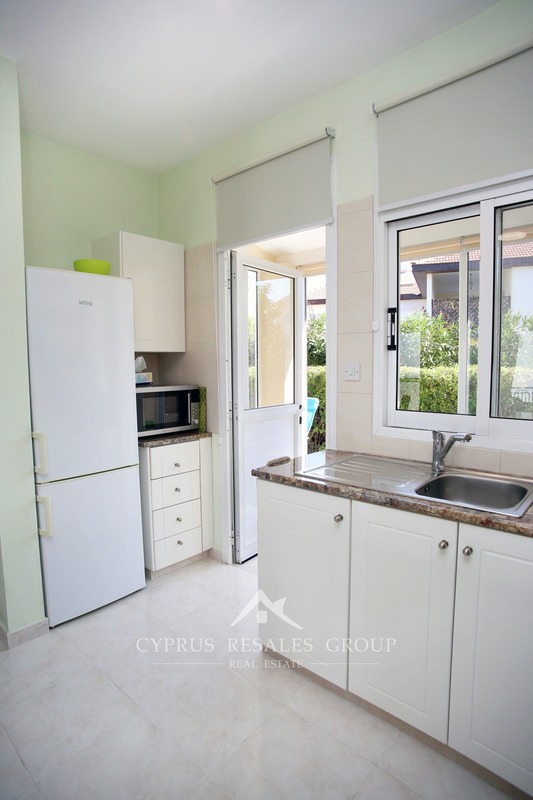 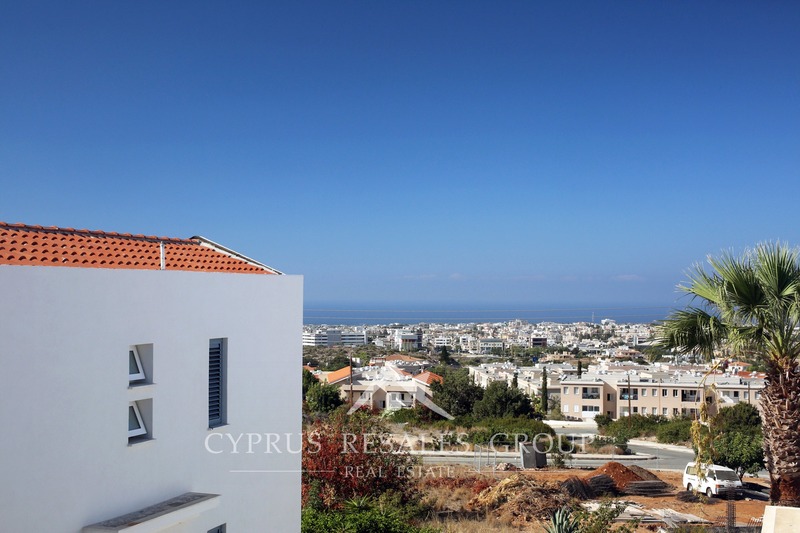 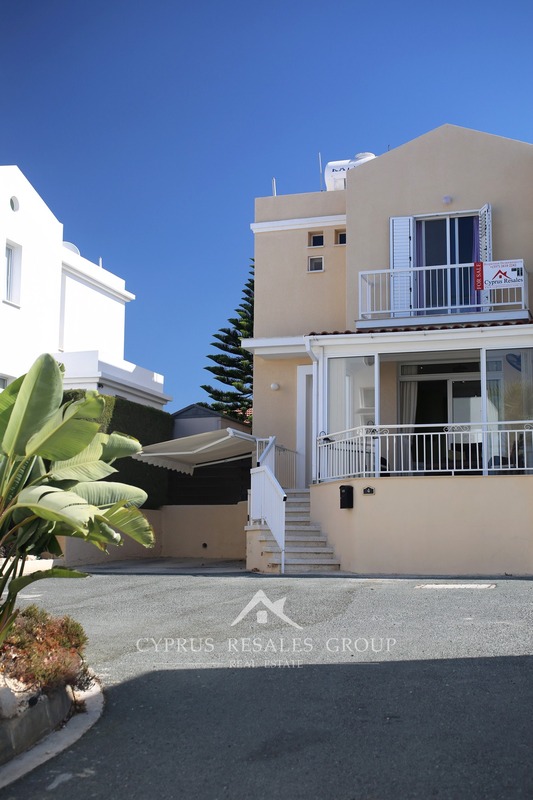 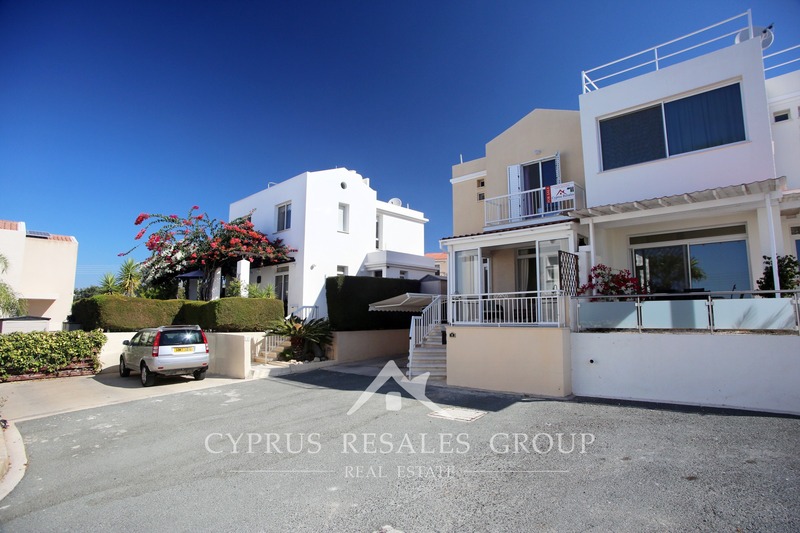 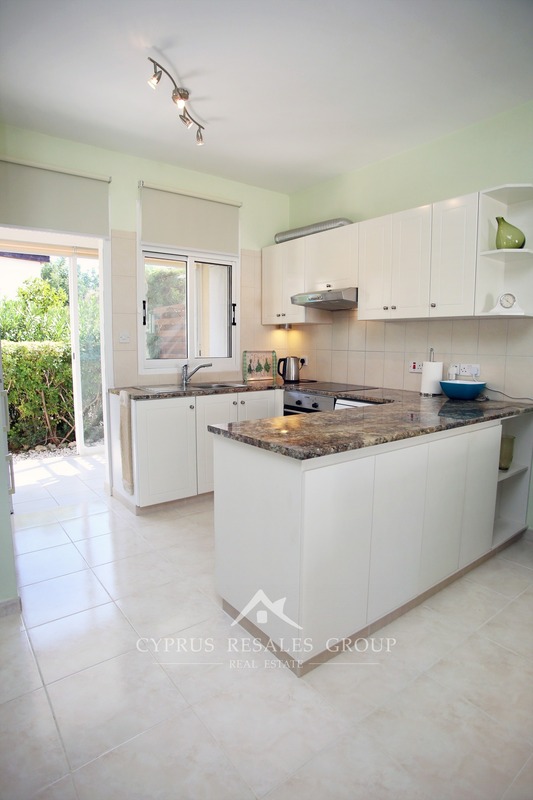 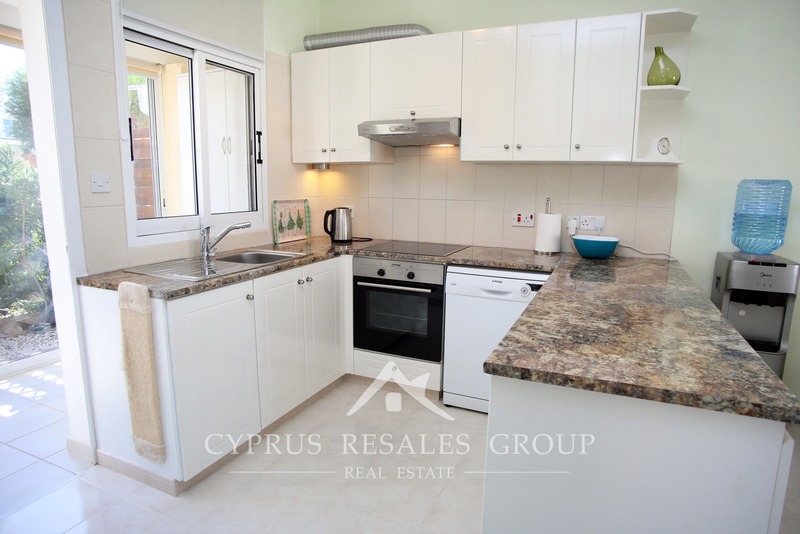 Conveniently positioned in a quiet cul-de-sac of Ambelia project built by Pafilia, this Konia property is ideal for low maintenance everyday living in Cyprus. 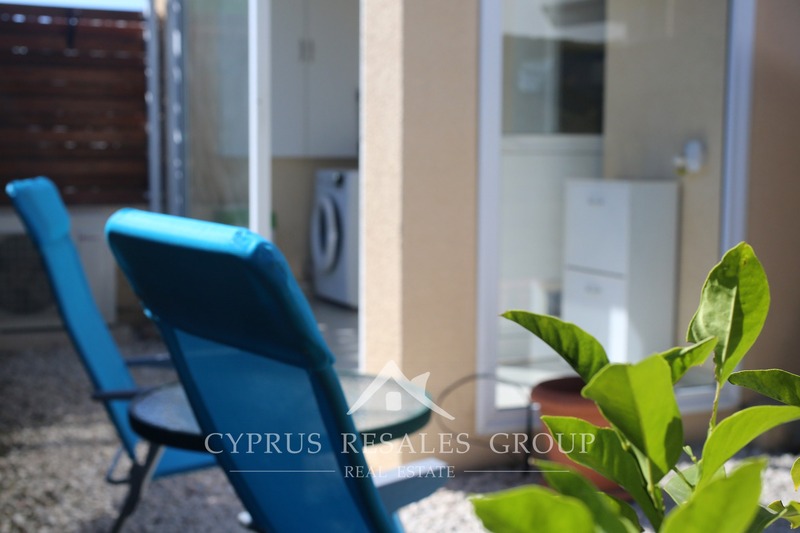 No swimming pool further enhances its practical credentials as a perfect home for a hassle-free lifestyle. 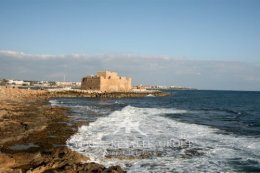 The Mediterranean seafront awaits you in just 10 minutes by car. 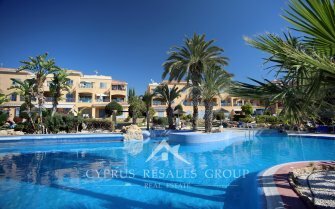 Swim all year in the crystal-clear waters without any cost. 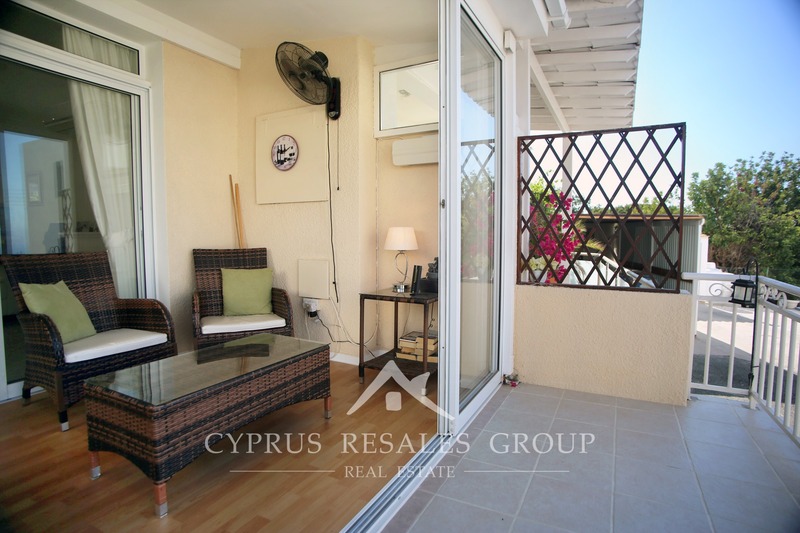 With a covered area of 112 sq.m. 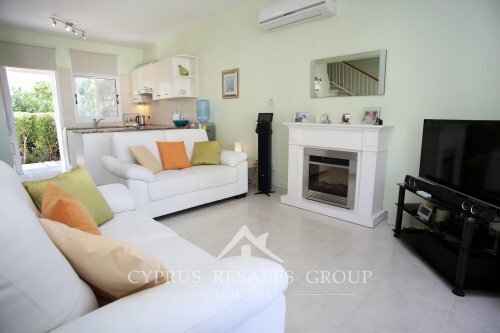 (excluding the sunrooms) this two-bedroom semi enjoys spacious interior filled with natural light. 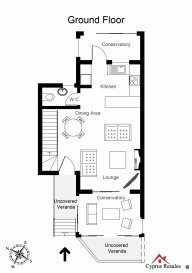 The open plan living room and kitchen exit on either side to added conservatory style sunrooms. 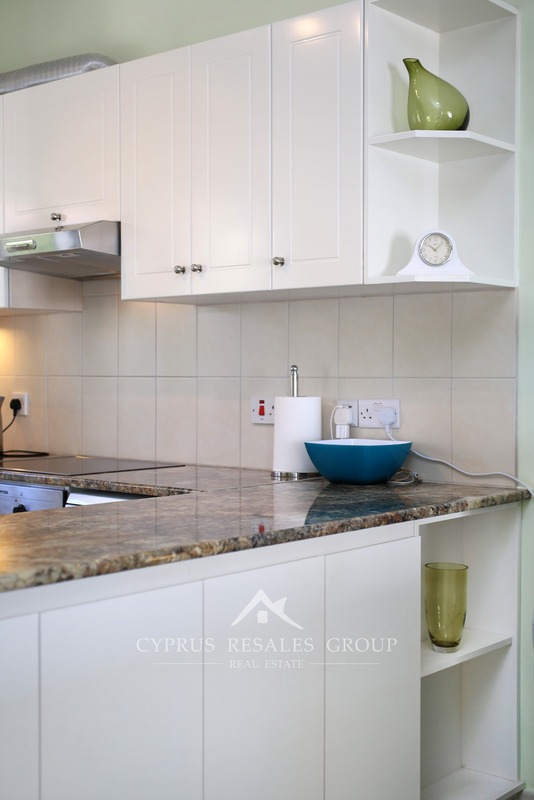 The one adjacent to the kitchen fulfills useful functions of a utility room by hosting the washing machine and giving you extra storage space. 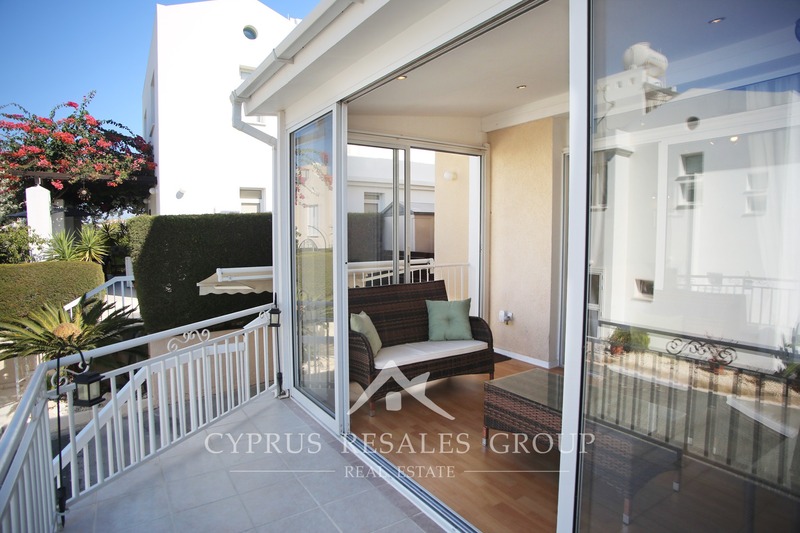 This room exits via patio doors to the easily kept garden that wraps around the side of the property. 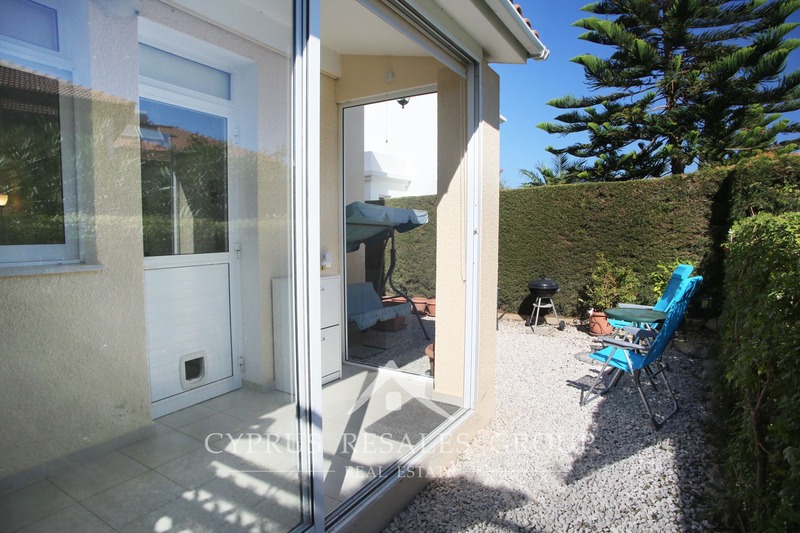 To the front of the house, we find another sunroom serving as a peaceful conservatory with a charming water feature and beautiful sea views giving you a harmonious environment to enjoy your home. 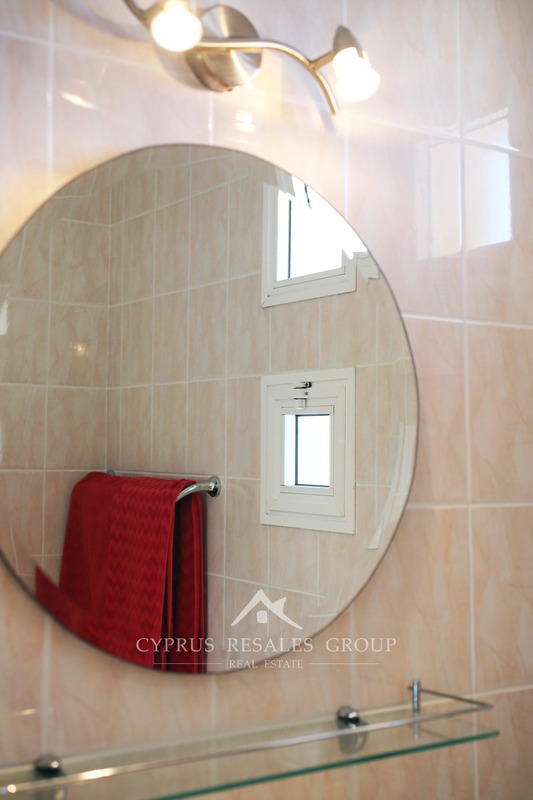 A guest WC completes this floor. 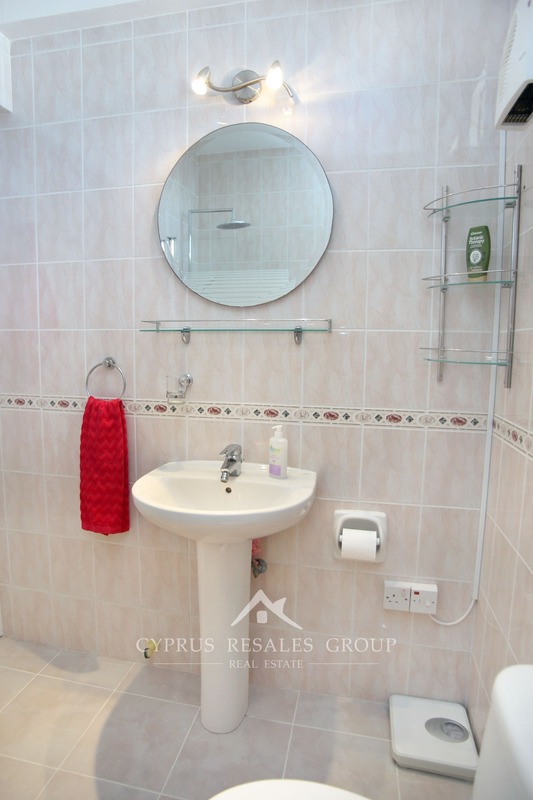 Upstairs we have two double bedrooms, both with ample fitted wardrobes and sharing a full-size family bathroom. 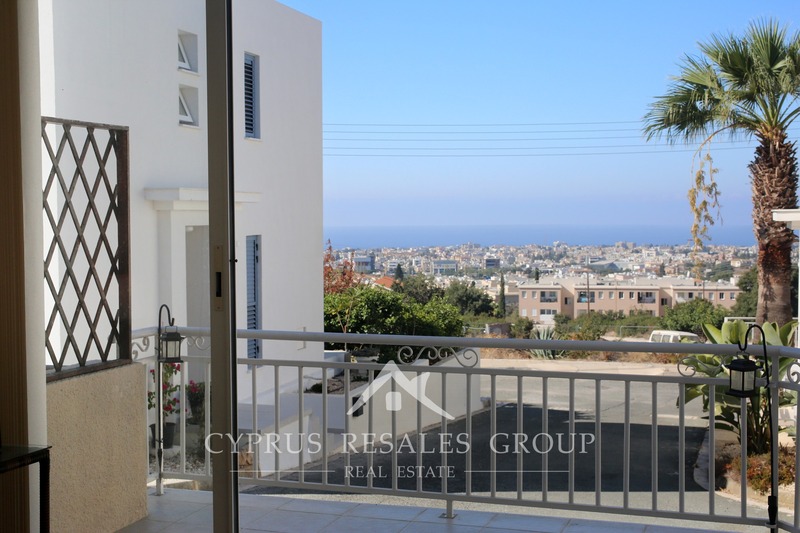 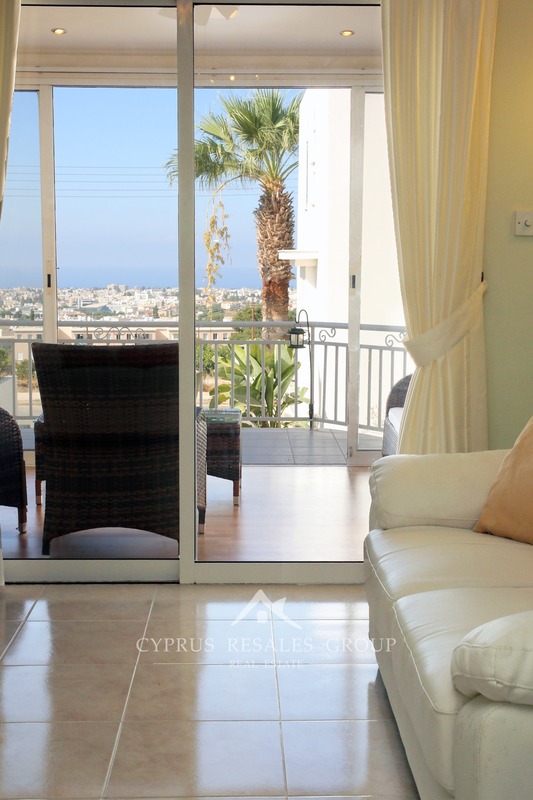 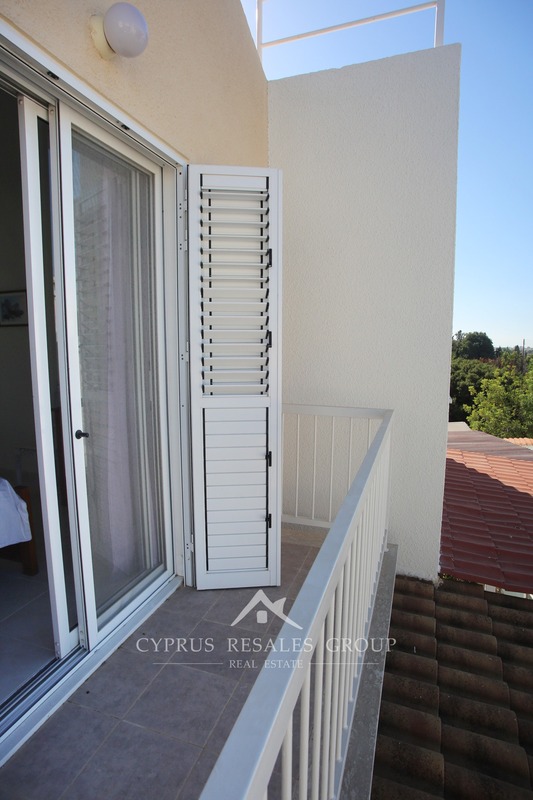 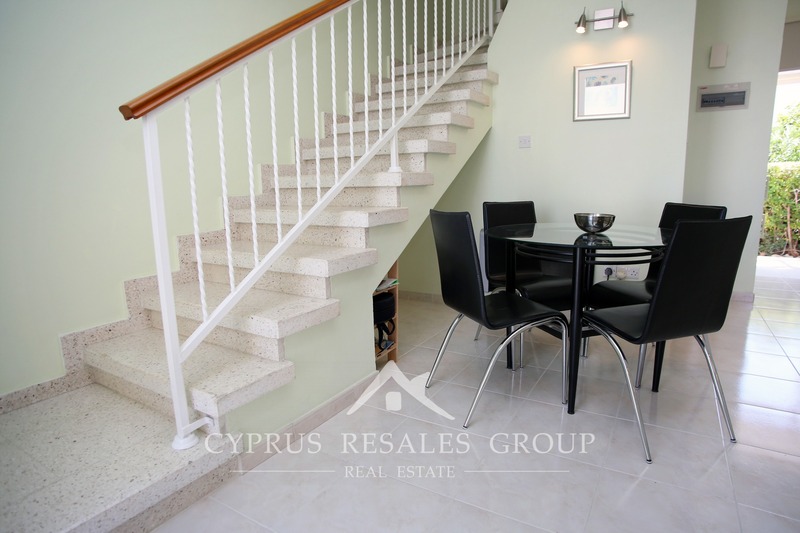 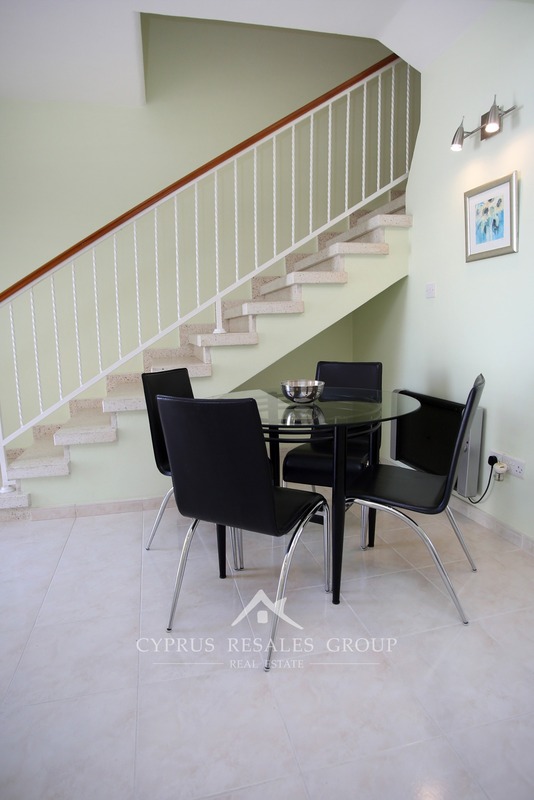 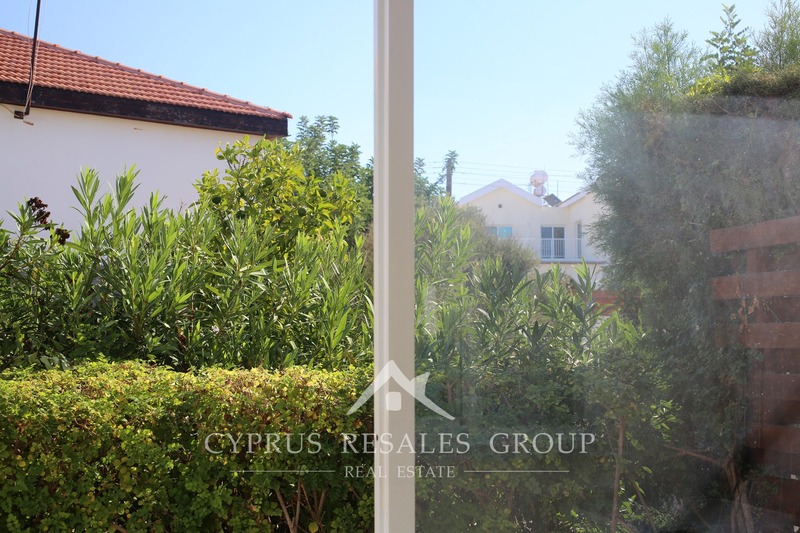 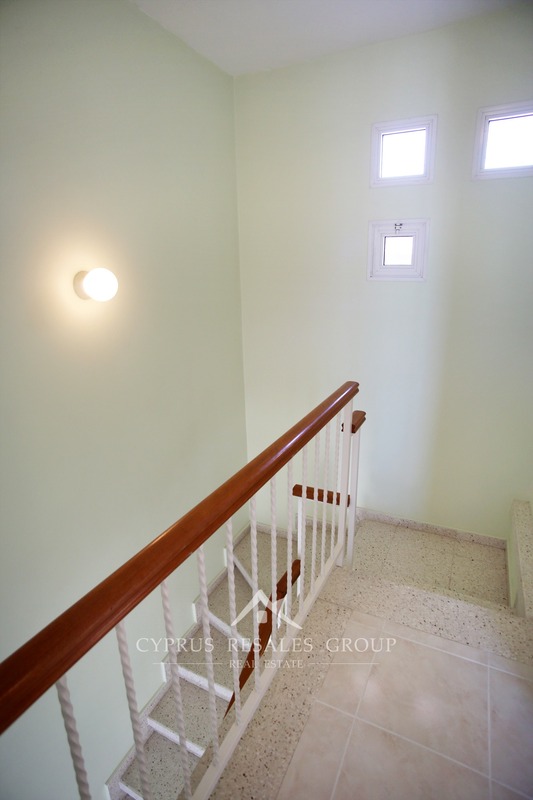 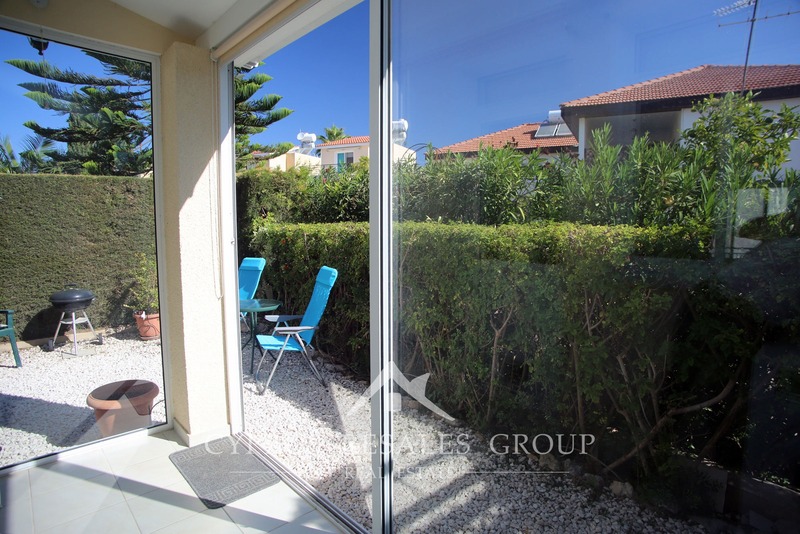 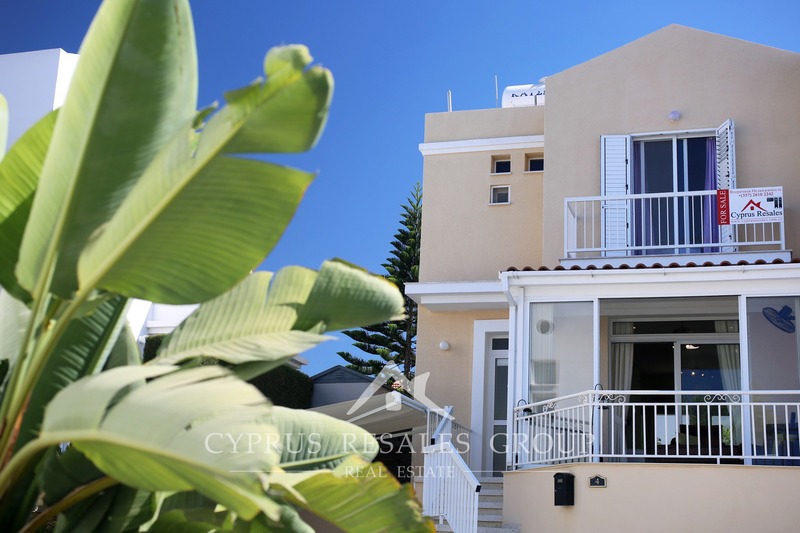 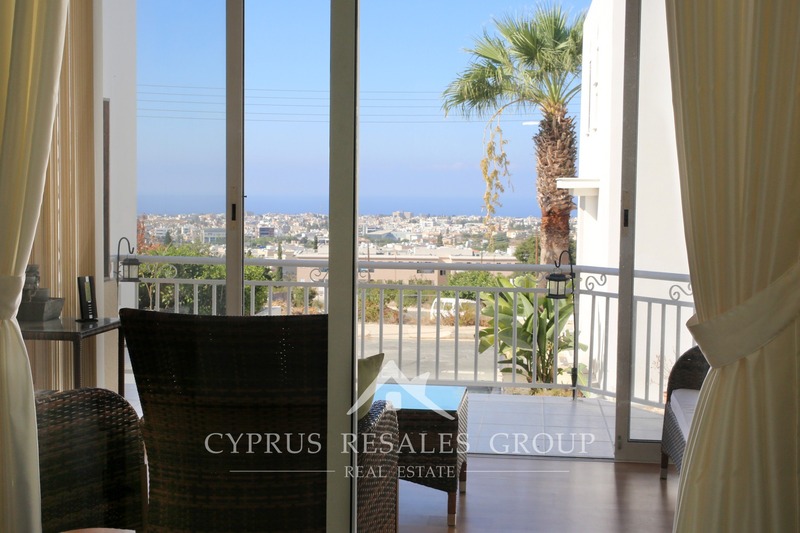 One of the bedrooms exits onto an open balcony with great sea-views over Paphos. 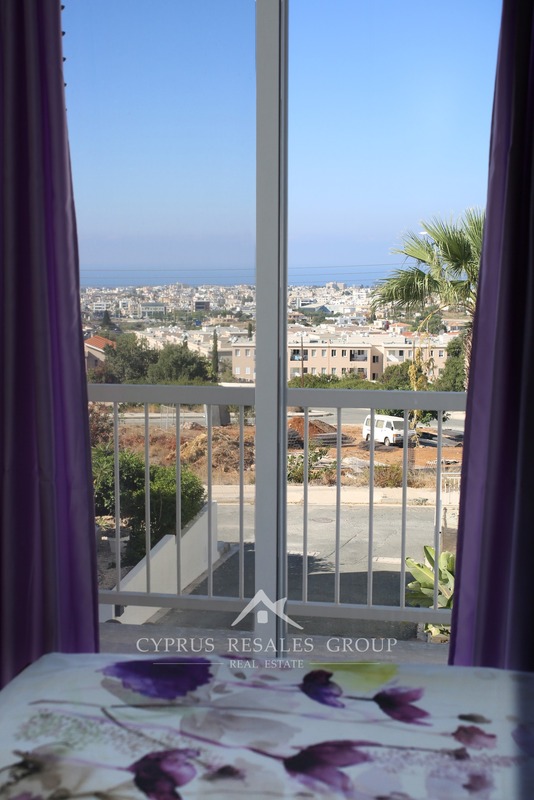 The second bedroom enjoys mountain and countryside views.